First observed this guy flying his drone in Town Square....which was crowded with folks looking at the ice carvings. 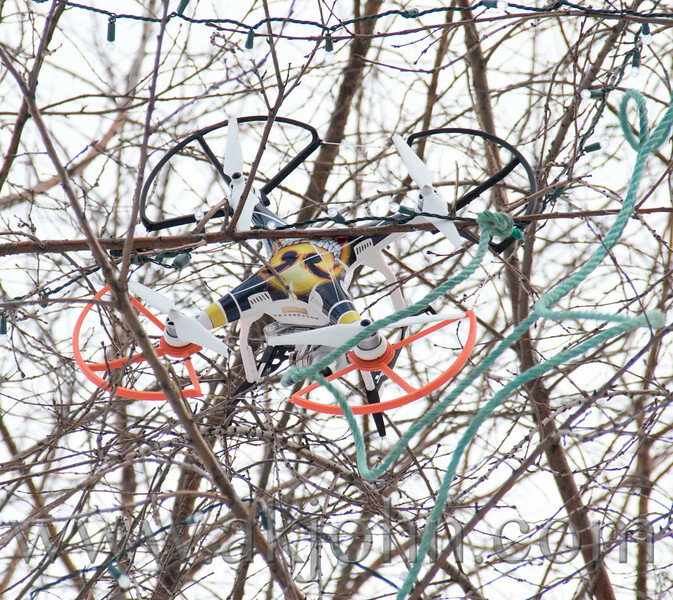 By the time I made my way looking for the flyer the drone had landed in a near-by tree. One image shows the green rope he was trying to get the drone down with. Next we see them throwing snow balls with no luck. At this time the gentleman with the reddish coat came up and offered to climb up and shake it down. The was successful but unfortunately right after the drone came down, SO DID HE. Other than a bruised ego he was OK.